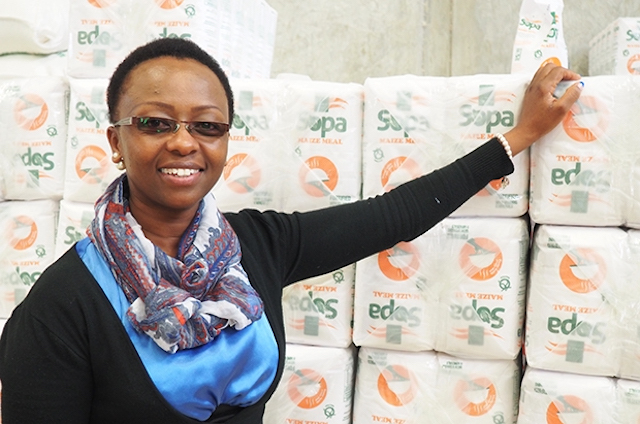 “There were moments when I would stand here, look around, and think to myself ‘what am I doing?’” said Pauline Kamau, Managing Director of Sopa Supplies, while gesturing to the freshly laid cement brick pieced together on the ground of her newly constructed processing facility in Rusegeti, Kiambu County, Kenya. Pauline had zero experience working in maize processing when she opened her a small maize milling business with her husband in 1998. Her mother-in-law provided the basement space to fit the three dehuller machines that they purchased when they started off. 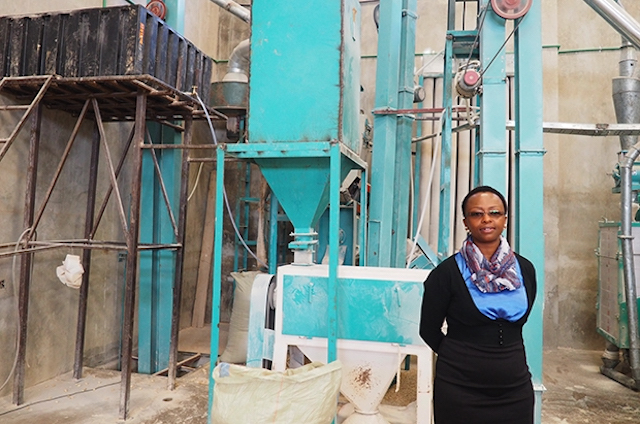 Maize milling had always been her husband’s dream, but Pauline learned on the job as their business began producing small quantities of maize flour for local consumption. When her husband passed away, Pauline faced a tough decision regarding the future of their business. Instead of walking away, Pauline dove headfirst into the business, opening a new company with the intention of building a large manufacturer of maize and porridge flours. She named the company Sopa Supplies; “Sopa” stems from a combination of her son’s name, Sospeter, with her own, Pauline. 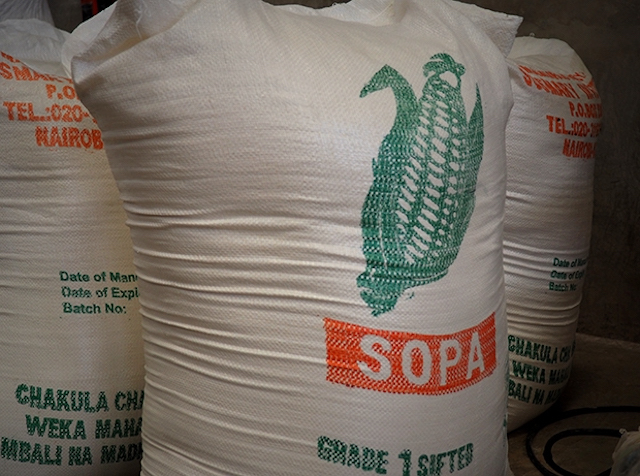 From its small factory in Nairobi, Sopa Supplies launched operations, predominantly selling its products locally and to wholesalers. “People were actually lining up. It was a good problem when we ran out,” she said. Sopa’s expansion into porridge flour production began as a service to fellow traders in the market place, but took off in popularity due to its nutritional value. Despite the early success of Sopa's products, the production capacity of the processor remained low. In 2016, TechnoServe identified Sopa Supplies as a prime candidate for participation in the Solutions for African Food Enterprises (SAFE) program. SAFE is a multi-year program implemented by TechnoServe in Ethiopia, Kenya, Malawi, Tanzania and Zambia, in partnership with USAID and Partners in Food Solutions (PFS), a consortium of leading global food companies – General Mills, Cargill, DSM, Bühler, Hershey and Ardent Mills – whose employees remotely share their expertise as volunteers. SAFE seeks to increase the competitiveness of the African food-processing sector by facilitating the transfer of technology and knowledge between skilled experts and African food processors, ultimately achieving their main goal of expanding the availability of affordable and nutritious foods. Through the SAFE program, Pauline received training on both basic business concepts as well as on nutrition and food fortification. “They caught me in a time when I was nowhere. No systems in place. Nothing to really show for Sopa,” she said. Anthony Etiang, a SAFE food technologist, has been working with Pauline since her initiation to the program. “Anthony has pointed out things that we should improve on, especially pertaining to food processing, cleanliness and how to improve production and keep to standards. 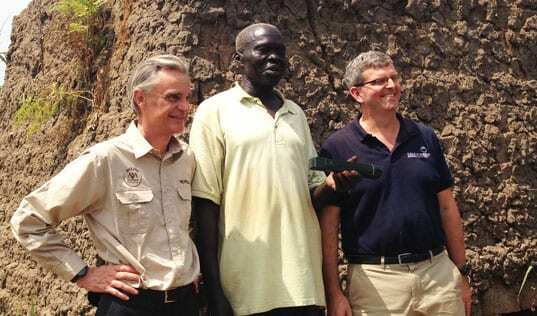 He gave me direction and now we are accomplishing more by the day,” Pauline said. Since starting in the SAFE program, Sopa Supplies has developed a five-year strategic plan, which focuses on increasing capacity and improving quality. Pauline has instituted new safety and quality standards, including hand-washing, placing screens to prevent pests, and leading training sessions for supervisors on quality management and personal hygiene. Between January and September 2016, Sopa Supplies increased the volume of processed foods production from 515 metric tons to 651 metric tons, and saw sales revenue double from $27,000 to $59,000. In addition, Pauline received a loan of $190,000 that she is using to finance the new processing facility in Rusegeti. TechnoServe has been working with Pauline to develop an operations plan for placing equipment in order to optimize the workflow, thereby maximizing production. "She’s been really determined doing her business. If you go to her older facility, you will see it is a small, squeezed place, but she has managed to get a bigger space. She made a huge investment and she really has a vision that pushes her business to the next level,” said Anthony. Despite her success, Pauline is not slowing down. Her ultimate goal is to sell Sopa Supplies products to organizations that can purchase large quantities, such as the World Food Program, in order to enhance food security across the region. In order to reach more industry players and to make SAFE’s training materials accessible to a larger audience, the SAFE team has converted the content into an e-book which is now available online. 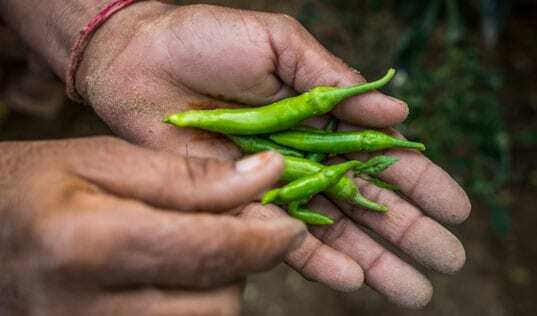 This book provides a discussion of the basic business concepts that entrepreneurs in the agri-business industry need to enable them to run their businesses profitably and sustainably. The main areas have been identified as entrepreneurship, development of business models, strategic management, marketing, accounting and finance. In addition, the team also released a comprehensive e-book on food fortification in Kenya for maize flour, wheat flour, edible fats and oils. 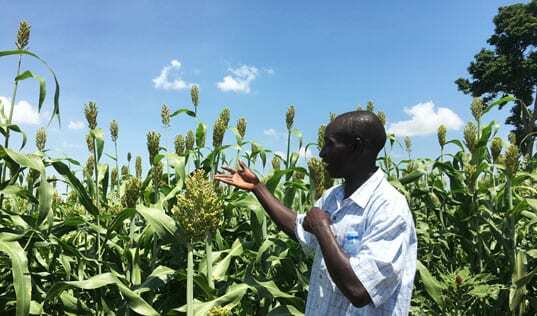 In October, Partners in Food Solutions, USAID and TechnoServe announced the expansion of their partnership to improve food security in Africa.